Posted on January 12, 2018 at 12:51 am. After a short break, we are back trawling the web for the best online casino promo codes, bonuses, giveaways and more. You can qualify by signing up to the top online casinos – recommended by our team as secure and fun. Guts online casino has an exciting giveaway promo running at the moment, for players located in Europe, New Zealand and Canada. If you fit the brief, create an account with the online casino and make your first deposit. Then you can start earning your tickets for the Winter Slots Festival leaderboard promotion up until January 24. Players can earn one ticket for every $/€10 they wager on the slots at the online casino. While you can play other games, you will need to wager a bit more depending on their contribution percentage, such as live blackjack which contributes 10 percent (you will need to wager $/€100 per ticket). We recommend playing the slots, as it’s the quickest way to climb up the leaderboard where 250 players receive cash prizes. The top prize is $/€5000, while second place is $/€2500, and third is $/€2000. For every 10 tickets you earn, you can claim 70 extra spins on Net Entertainment’s new slot, Twin Spin Deluxe up until January 19. Be sure to read the terms and conditions of the Guts online casino giveaway, and you can find these here. Quickspin released a new game this week and it’s now available at all of its participating online casinos. But House of Jack is giving players the chance to claim 20 extra spins to try the new Pied Piper slot out, so we recommend playing here. To claim the offer, head to HouseOfJack.com and deposit while Pied Piper is still the selected game of the week. You can find this out when depositing, by viewing the available bonuses. The 20 extra spins will then be credited to your account to try out the game. All winnings from the extra spins are limited to $200, and we recommend reading the rest of the terms and conditions located at the bottom of the casino’s homepage. You can find out more about Quickspin’s new game, plus the bonus here. If you’re looking for a new online casino, we recommend checking out GunsBet.com if you haven’t already. Every Friday the online gambling site gives players the chance to claim a 55 percent match deposit bonus up to $50 when depositing into your account. Online casino players can sign up via our links and enter the ‘LUCKNLOAD’ promo code when following the depositing process. You need to deposit at least $30 to qualify to have it matched by 55 percent. 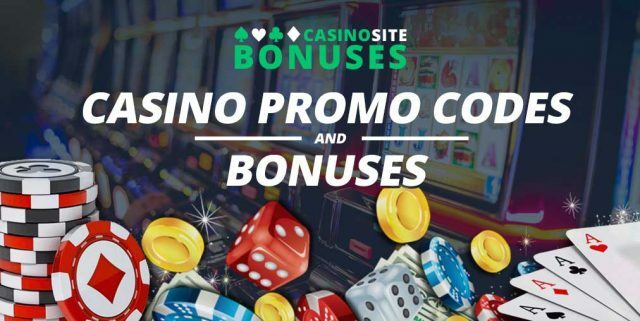 You can claim the offer every Friday, but there is a 50x wagering requirement attached to the deposit and the bonus before making a withdrawal. You also need to deposit at least once before you claim the Gunsbet weekly promotion, which is why we recommend reading the terms and conditions. You can find out more about Gunsbet and the weekly promotions here. Rizk online casino is giving its players the chance to get some great January deals this month, with registered players emailed daily with bonuses and promo codes. To receive the daily offers, sign up to Rizk online casino and claim the welcome bonus, which includes a 100% matched deposit up to $/€100, plus 50 extra spins and a free spin on the Wheel of Rizk where you can win Super Spins, jackpot prizes and more. You can opt out of the bonus if you don’t agree with the terms and conditions available on the website. Then check your inbox each day (make sure you register an active email address when signing up) to receive bonuses like Double Speed on the Rizk Power Bar, which will get you closer to another free spin of the Wheel of Rizk. The selected games for the Double Speed feature tie-in with Chinese New Year festivities, including slots like Chinese New Year, Koi Princess, Matsuri, and Fu Er Dai. We recommend reading the terms and conditions before opting in, and you can find out more about the Rizk January sales promo here. Slots Million is giving selected players the chance to claim 50 extra spins up until January 15. If you’re located in Finland, Sweden, Norway, Germany, Iceland, Ireland, Luxembourg, Netherlands, New Zealand, South Africa, Switzerland, Austria, or the UK, you can create an account with Slots Million to claim the offer. Once you have an account, head to the cashier and deposit at least €/$20. Don’t forget to enter the code SNOW50 to receive the extra spins. The casino will credit the 50 extra spins to your account, and you can use them on NetEnt’s Flowers Christmas and Fruit Shop Christmas Edition. Get in quick as the bonus code runs out on January 15. All winnings need to be wagered 35x, and any withdrawals will cancel the bonus. You can clear the wagering requirements by playing the slots, table games and other titles. Check the terms and conditions for more information. Also, check out what these guys have to say about the Slots Million promo here. UK online casino players can gamble at an exclusive casino called LadyLucks, and for the time being, win a brand new iPhone 8. The online casino has ramped up its standard welcome package, which gives players a 100 percent match deposit bonus up to £200, with the addition of an Apple smartphone. All you have to do is sign up to LadyLucks casino before January 31 and deposit at least £20 to receive an entry into the iPhone draw. The more you deposit in £20 increments, the more entries you will receive. The promotion is only available to new players signing up and still have accounts when the draw takes place on February 1. The winner will be notified via email or phone and can claim either the iPhone 8 or an iPhone 7 Plus. All bonuses carry 50x wagering requirements at LadyLucks, and we recommend reading all the terms and conditions available before opting in. You can find out more about LadyLucks and the welcome bonus here. Monday night is Ladies Night at the online casino Slots Million. If you’re a female, sign up before the day to claim a 40 percent match deposit bonus up to $/€100. Once you have logged in, make a deposit of at least $/€25 between 7 pm and 11 pm in your local time zone on Monday evenings to claim the offer. You do need to have made at least one deposit in the past, so sign up and fund your account for the first time. You can also claim the 100 percent match deposit bonus up to $100 with your first deposit. On Wednesday nights males can treat themselves to a 40 percent deposit bonus too, with the same terms applied. Check out what these guys have to say about the ongoing Slots Million bonuses here, along with any hidden terms you should know about. You will receive the percentage of your deposit, credited to your bonus balance. To convert it into cash, you will need to wager it 40 times within 30 days. You can clear it the quickest on HoJ’s range of slots. You can claim these match deposit bonuses every Wednesday since the promo is ongoing. You can find out more about House of Jack and its regular promotions here.